Music annals tell us about legendary lost projects that got released long after the fact. Now comes the holy grail: “Amazing Grace,” the movie of Aretha Franklin’s storied gospel concerts in 1972. Having scored 11 consecutive No. 1 songs, the queen of soul was 29 and at the height of her powers. For two nights in a Baptist church in Los Angeles, she revisited her gospel roots. 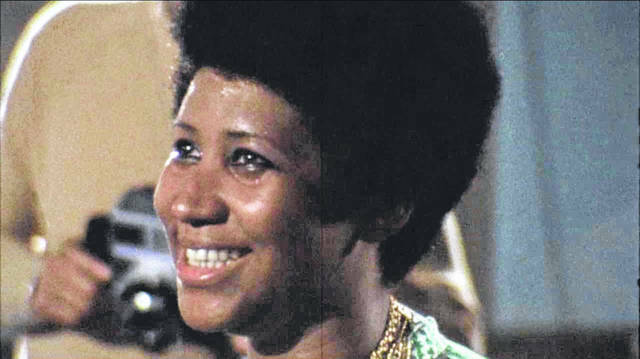 Six months later, a two-disc LP of the concerts was released, and it remains not only one of her best sellers but the biggest-selling live gospel album of all time. What many didn’t realize is that those concerts were also filmed. That footage was, as the song goes, lost but now is found. You don’t need to be a churchgoer to find “Amazing Grace” a soul-stirring, foot-stomping, hand-raising experience. When you hear Franklin, with that most gloooo-ree-us voice, magnificently turn one syllable into five, you’ll be moved to hand-clapping ecstasy just as Mick Jagger was when he joined the congregation on one of those nights. As moving as the concert documentary is, the long and winding story of how it finally got to the screen — 47 years later and eight months after her death — is just as compelling. Oscar-nominated director Sydney Pollack (“They Shoot Horses, Don’t They?”) was hired by Warner Bros. to film the concerts in January 1972. He and his team made a crippling production mistake at the New Temple Missionary Baptist Church. As a result, the sound did not sync with the visuals. The movie couldn’t be edited. Cut to a few decades later. Digital technology finally enabled the once-buried film to be finished, but Franklin blocked it from being shown. Not even Robert DeNiro could persuade her to let it be screened at his Tribeca Film Festival. The work completed, interference arose from an unexpected source: the Queen of Soul herself. Franklin sued to prevent a showing at the Telluride Film Festival in 2015. And she was unmoved a year later by DeNiro’s phone call for his film fest. Whatever the reason, she did not authorize the use of her likeness. But Franklin’s death opened the door for the movie to be released. Sabrina Owens, the singer’s niece and executor of her estate, is listed among the producers. “Ah-ah-ah-ah, ah-ah-ah-ah-may-ay-ay-ay-ay-zeeeeeEEEEeee-ing,” she begins, giving goose bumps to the couple hundred folks in the church. One man in the choir cannot hold back the tears. Other choir members shout praise. Cleveland is so overcome that he leaves his piano bench, finds a seat in a pew and buries his face in his hands, rocking back and forth, weeping with joy. There are other special moments in the film, including when Rev. Franklin walks up to his daughter in mid-song and wipes the sweat off her face with his hankie. And when she mashes up “Precious Lord Take My Hand” with Carole King’s “You’ve Got a Friend.” And when she Aretha-izes “Never Grow Old” with the intense, liberating emotions of her voice expressing more than mere words could.